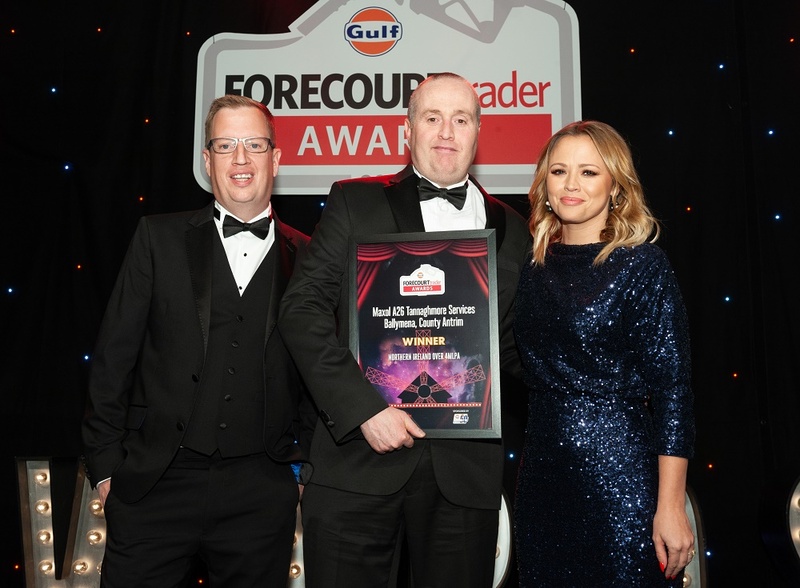 Maxol, Ireland’s leading family owned forecourt and convenience retailer, was announced as a four-time winner at the annual Forecourt Trader Awards 2018, including taking home the top accolade - Forecourt Trader of the Year for the company’s flagship A26 Tannaghmore service station in Ballymena, Co. Antrim. Maxol also scooped a further hat-trick of awards including Best Service Station, Northern Ireland over 4million litres per annum for Maxol A26 Tannaghmore service station, Best Food- To-Go Outlet for Maxol Mulkerns Eurospar in Newry and a Highly Commended in the Best Oil Initiative category for their Maxol Aware Christmas coffee cup campaign. The Forecourt Trader Awards recognise innovative retailers who make an outstanding contribution to the sector. Brian Donaldson, Chief Executive Officer of Maxol, was delighted with the clutch of wins, he said: “Being recognised with these awards by our industry peers is a fantastic achievement and a great acknowledgement of our drive to continue to innovate and bring something new to the market. TV presenter Kimberley Walsh, was the host for the event which was attended by a record audience at the London Hilton on Park Lane. Maxol are continuing to invest in their forecourts across Northern Ireland and have plans to increase their offering over the next 12 months, using a mix of new greenfield and existing sites. For more information on Maxol and their offering, visit www.maxol.ie.